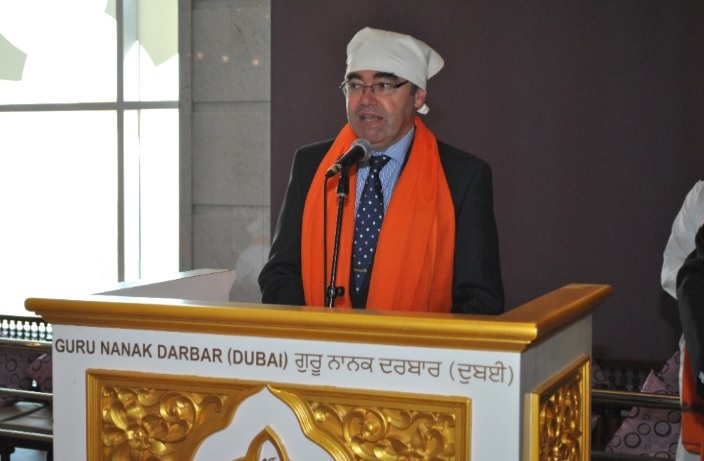 HM Consul General Mr Paul Fox, Mohammed Al Bastaki, Government & Emirati Affairs Attaché and Sam Kelly, Head Press & Public Affairs, British Embassy visited the GuruNanak Darbar Gurudwara on Wednesday 27th April 2016. To welcome these guests we had the priests from the neighbouring Jebel Ali Churches and few business associates. The visit was to discuss about Interfaith Harmony and Peace.